A four-song, 12-minute Christmas suite for choir. 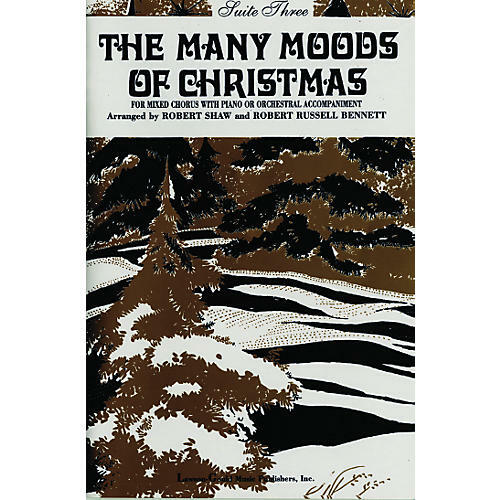 Arranged by Robert Shaw and Robert Russell Bennett, The Many Moods of Christmas Suite 3 is a SATB songbook with piano or orchestral accompaniment. Suite 3 includes: What Child Is This? * Hark! The Herald Angels Sing * Bring a Torch, Jeannette, Isabella * Angels We Have Heard on High. Duration, 12:20 min.